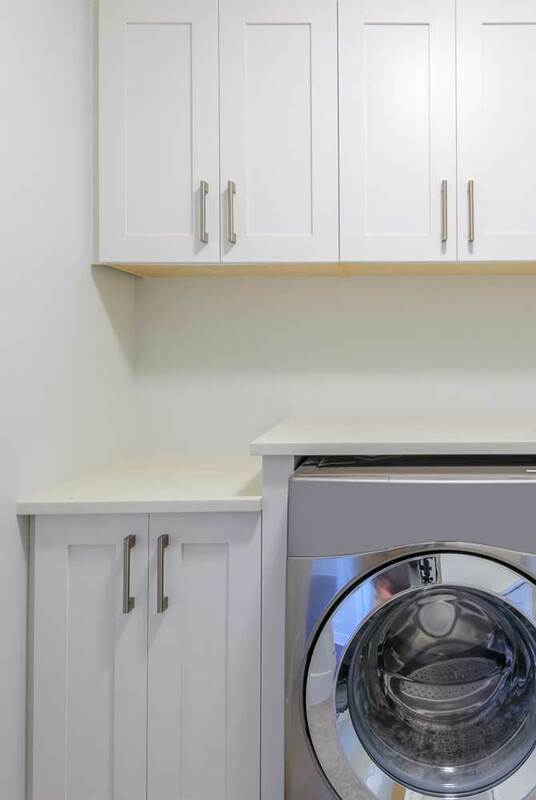 Our custom-built laundry cupboards and bench tops provide a practical and stylish storage solution and are designed specifically to suit your needs. 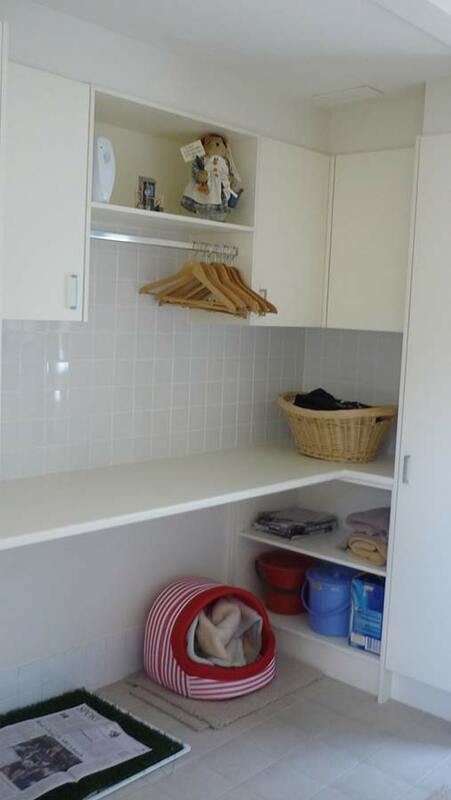 Made from high quality materials, each cupboard unit is custom-built to suit your budget and decor. Cabinets can be designed to fit around your appliances creating a seamless and elegant space. 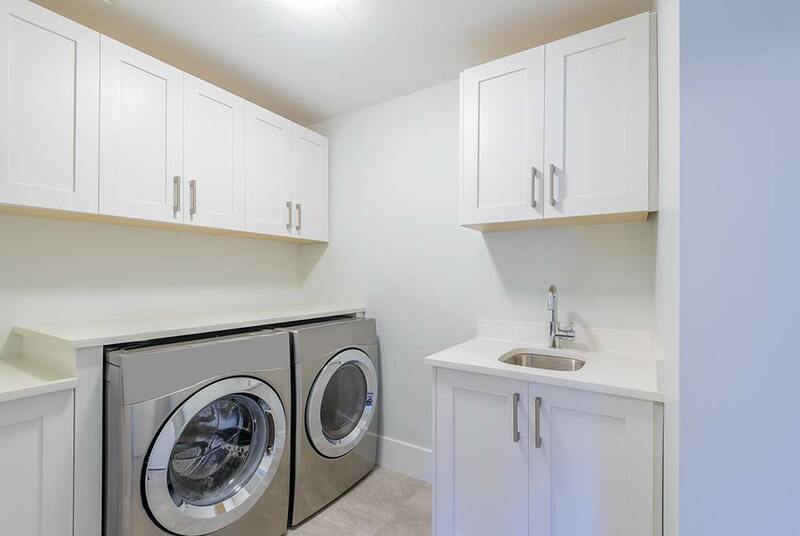 We can discuss your exact requirements and help you explore the best options for your new laundry design.